There is plenty of value in individual registers as authoritative sources of trustworthy core reference data - the first beta register, the country register, is being used by services such as the e-petition service already. Over time the country register will also replace many of the country lists published on GOV.UK. So individual registers are good but an ecosystem of linked registers is even better. That’s why every register needs to be designed with the wider ecosystem in mind. 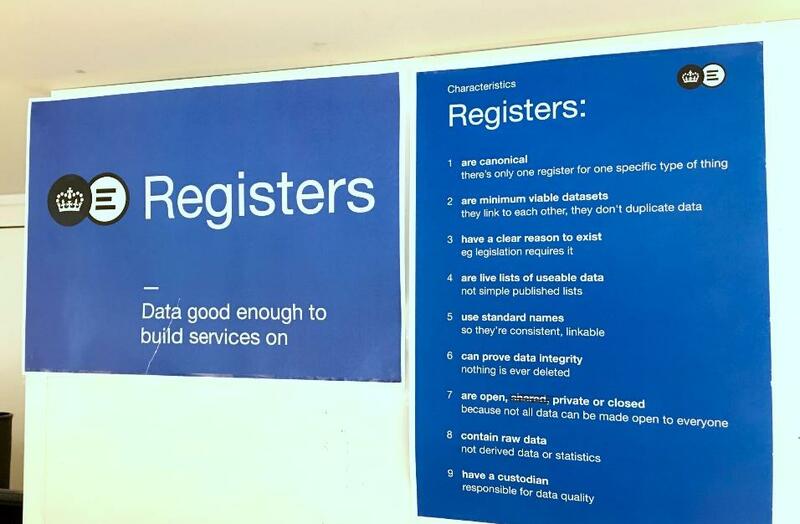 And that’s the focus of the Register Design Authority, which sits in the GDS data group - making sure that registers accurately and helpfully reflect the interconnectedness of government data. This team has domain control for the register.gov.uk domain. It will work with the register custodians who are responsible for running registers and are the domain experts, to ensure that the data in their registers is modelled in ways that meet users’ needs, and work with other registers in the government data ecosystem. This is how we will avoid unhelpful and confusing replication of data and ensure that registers really are trustworthy. There are a number of factors the Register Design Authority team considers when it comes to the creation of a register. These considerations have implications for the modelling of the data within registers and the way the registers are run. Only once these conditions have been met can the register begin operating on the register.gov.uk domain. One of the things the Register Design Authority team thinks about is where a new register would sit within the linked ecosystem of registers. By definition, data in canonical registers isn’t replicated elsewhere. For example, we shouldn’t have more than one country register. Having a single register means establishing agreement and saves services having to decide which list to use. So given there’s already a country register, the register design authority won’t support the creation of another “nation” register on register.gov.uk, unless that proved to be a different concept. Another thing the team looks at is whether the register data constitutes a ‘minimum viable dataset’ - one of the characteristics of registers. This isn’t just because it makes for cleaner, more modular structuring of data, but also because it makes it easier to align the operation of registers with the underlying processes for data collection and maintenance. We want registers to work across government, and not just for a single service or organisation. That’s why the team needs to spend time working with the custodian and services, to ensure that the data in the register can be kept as accurate and as up to date as possible. Users need to be confident about these things and have the appropriate access tools, for the data held in registers to be considered good enough to build services. When there is a conflict over which part of government should be the source of data for a register, the team looks at who can provide regular, accurate data, that allows for the ongoing feedback loops that are a characteristic of registers. If it’s still not obvious who is best placed to be run a register, we will escalate this decision to the Data Leaders Network for review. One of the most important aspects of registers is that they provide data that’s good enough to build services on. We build trust in registers both by having clear technical specifications and clear processes for how and why they’re built. Registers are long-lived, so an important part of the specification is consideration of how the API and data can change over time without breaking services, and to enable feedback loops from services to ensure the data in a register is accurate, and kept up to date. In an earlier blog post we were clear that building the foundation of the government’s data infrastructure is a work in progress, that is still the case. These standards will evolve, as good standards do, as more registers come online and we learn from custodians, data users and ongoing development of the Registers platform. 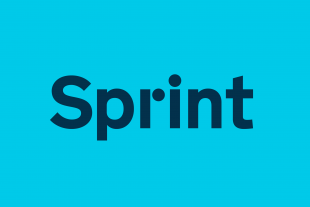 You provided us with helpful feedback following the beta release of the country register at SPRINT 16 and we’d like to hear your thoughts on the approach we’ve outlined here and the draft specifications we’ve linked to. We want this to be part of the way we transform government together and we’d like your help. If a new "register" is made up of several other existing registers, is it still a register according to your definition? For example, we have a register of companies, a register of charities and a register of businesses paying VAT. If we create a new single canonical register of all businesses using data from these sources (so we don't duplicate the data), will be a register? I don't think it would as there are several authoritative owners responsible for each of these registers and the data they contain can only be changed by them not the new business register. If it isn't a register, what is it and will it still be governed by the same rules? Seems to me that it's more of a "registry" or "directory" where you can find all of the available data registers. I really don't mind there being several country registers, say one for foreign aid and one for diplomats. It really doesn't matter. Having a single register of British citizens however is a deeply wrong thing. That you've not ruled this out from day 1 is extremely concerning. But it explains why you are shouting these arguments for having only one register for each thing, using benign examples like countries. Clearly you're paving the way for the real purpose - the single government database of citizens. Who is best to contact about this, our department is about to build a number of services we refer to as registers, want to sync up and see if we're actually building what GDS term a registry and how we should align our approach etc. Will the registers be registed on data.gov.uk? Sorry if I missed it. Do we know what the definition of a register is? So we (out here) can see whether we have one or are about to build one? In Canada, we call them Authoritative Sources (vital statistics for dob, dod; Driver's Licence for residence, citizenship status, etc.). These are used by Relying Parties (e.g., programs) to validate identity. (There are other mechanisms for assuring identity). We are in the process of developing a federated identity mechanism to enable relying parties to request validation of personal information elements from the authoritative sources. The big question in this country concerns protection of personal information. Our Privacy legislation allows PI to be collected only for a specified purpose (e.g., program eligibility) and to be disclosed only for that purpose, a related purpose (e.g., a new benefit connected to an existing one) or an administrative purpose such as program statistics. Any other secondary use, such as disclosing to a third party for their identity validation purposes, is not permitted. This clearly limits the ability to develop "joined-up" government or personalized services. How are the privacy implications handled in UK? - who owns the truth? Who says "that is a country / thing that we acknowledge and recognise - and that thing is not"